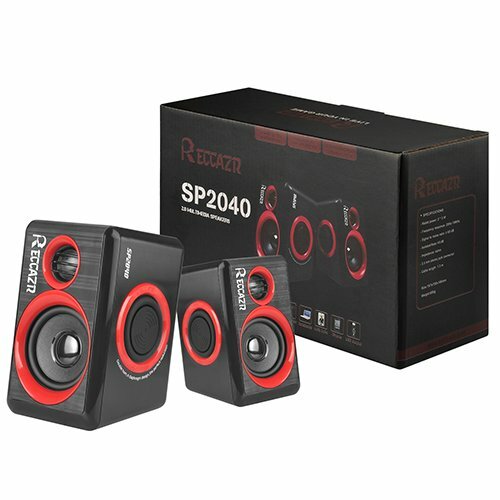 RECCAZR SP2040 Computer Speakers let you enjoy the music and movies in full rich stereo sound,put it in your room, living room, or home office, the Speaker packs a powerful punch for any space. 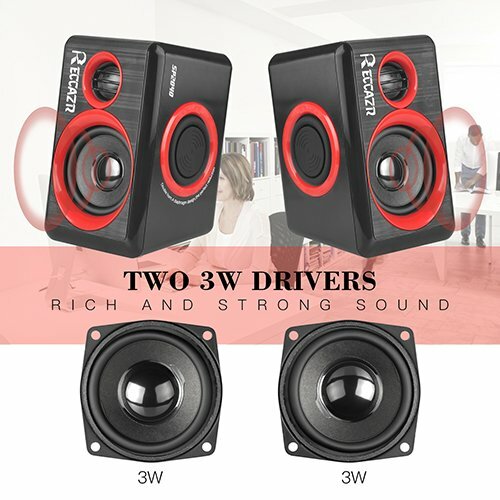 【Rich and strong stereo sound】Built-in Four Loudspeaker Diaphragm and Heavy Bass Multimedia Speakers,The laptop USB speakers deliver Clear Rich and strong stereo sound for your computer,Turn your desktop computer or laptop into the ultimate sound system. 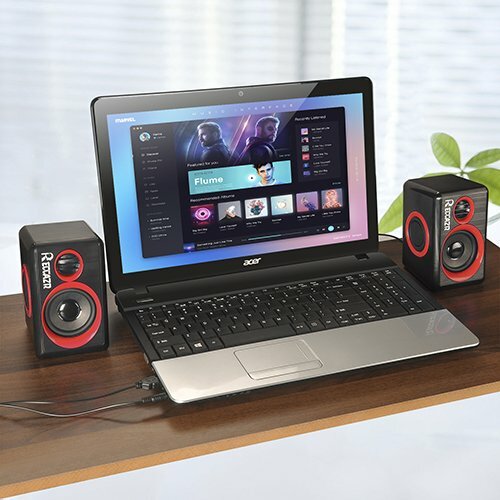 These USB Powered Computer Speakers will fill the room with your music, movies, or computer games. 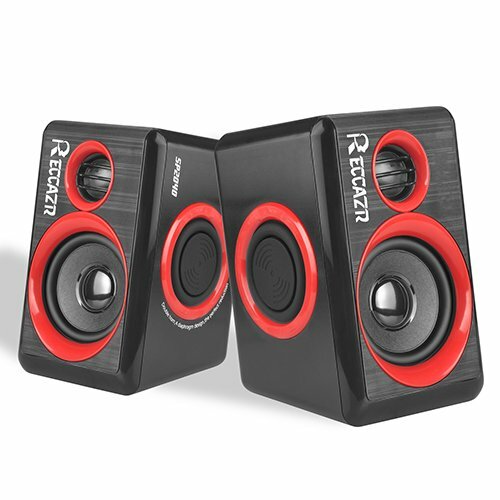 【The Compact Design】The small size allows the speakers to easily sit on your desk. 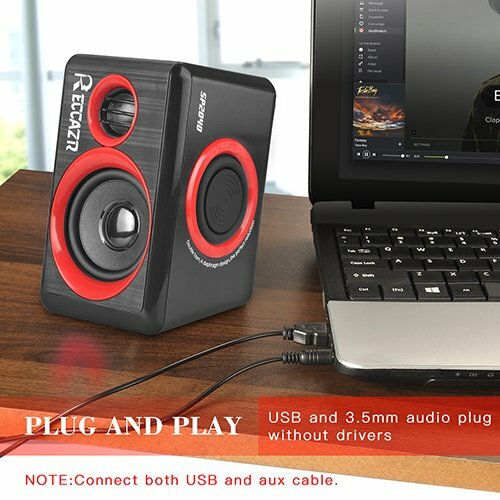 And the USB power means you can take them with you and plug directly into your computer for music on the go. 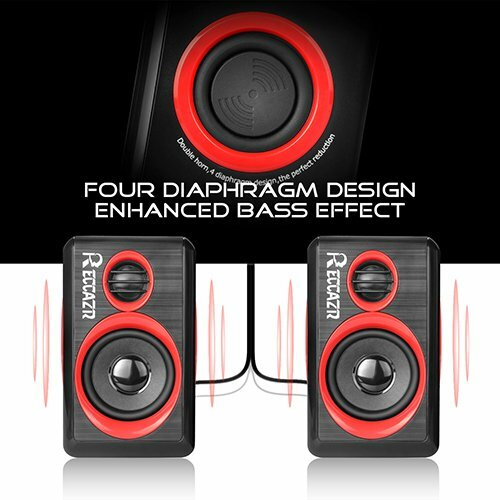 【One Finger Control】Turn the speakers on and the volume up with one simple control on the line of the speakers for quick access. 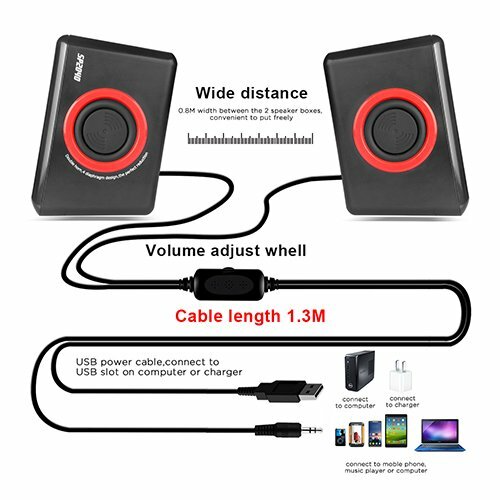 【Compatible with Multiple Devices】It Compatible with PC, laptops,desktop,notebooks, Kindle Fire,smart phones, tablets, MP3, MP4 and more devices. 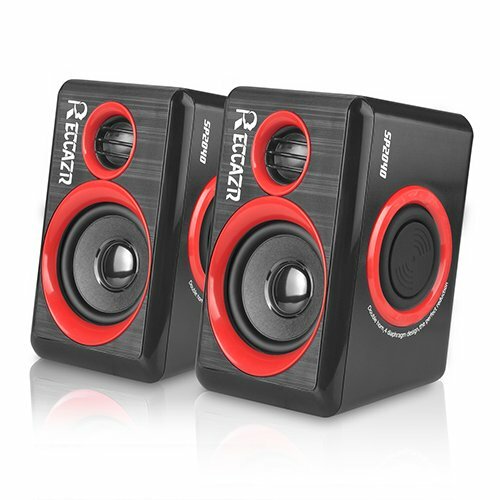 【Plug And Play】USB Powered and 3.5mm Audio Input,Just plug the USB cable into your device or the wall and plug the 3.5mm jack into your audio device and not need drives. 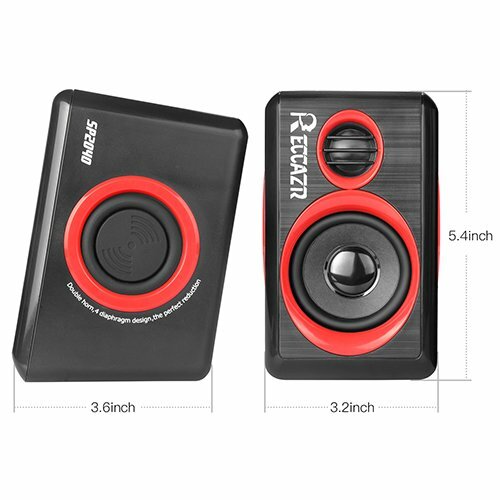 If you have any questions about this product by RECCAZR, contact us by completing and submitting the form below. If you are looking for a specif part number, please include it with your message.